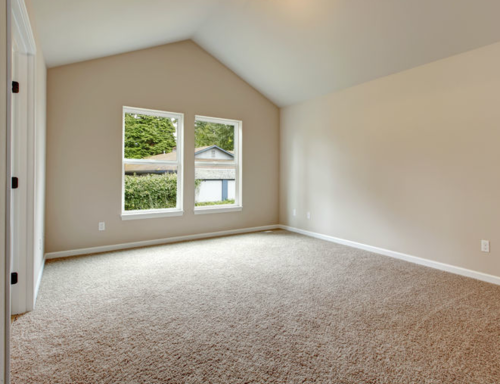 Do you need your carpet cleaned in Auburn, CA? Contact us today at Out of Sight Cleaning to get an estimate on having your carpets professionally cleaned for either commercial or residential properties. Are you looking for an effective carpet cleaning service in Auburn for your home or business? Out of Sight Cleaning has been cleaning homes and businesses effectively since 2011. We offer reasonable prices for our services, and our trained staff is both effective and ethical. Our skilled team uses a combination of smart cleaning materials paired with the highest quality machines to remove as much of the dirt from the carpets as possible. In the process we rid of the spots and stains you can see as well as the residue and silt you can’t see. So, with our experience and knowledge, we are confident that you will be satisfied with our carpet cleaning services. Keeping your home clean is highly essential to help feel good and cozy. How your home looks reflect your personality and your lifestyle. Therefore, maintaining a clean house means taking care of every part of it, including the carpets. One significant advantage of cleaning a carpet regularly is that it extends the life of your carpet. Over time, dust, dirt and small stones get into the carpet and integrate with the carpet threads. It weakens the threads and leads to wear and tear of the carpet. Regular vacuum cleaning will help decrease the build-up of dirt in the carpet between cleanings, while deep cleaning your carpet using methods such as hot water extraction will effectively remove the debris from deep within the fibers, leaving the carpet sanitized. Carpet cleaning benefits cannot be overlooked. Besides improving the appearance of your home and extending the life of your carpet, perhaps the most important benefit of the process is enhancing you and your family's health. According to a study by the American Lung Association, if members of your household are having breathing problems, such as asthma or snoring, your carpet could be the number one culprit. Consequently, it is especially vital that you vacuum your carpets three times a week. Beyond regular vacuuming, you may also need to have your carpets professionally cleaned once a year to enjoy the full benefits of clean carpets. Carpet cleaning contributes to clean air circulation around your home. The indoor air pollutants found in the carpets when inhaled can lead to breathing problems and other respiratory issues. Especially when you have young children who spend much of their time on the floor, dirty carpets exposes to these pollutants through direct inhalation. Besides, cleaning the carpet will also help clear allergens that might be present on the carpet. Stains can be an ugly thing, especially on bright carpet. Stains can be caused by spilling coffee on the carpet, dirt, mud, ink, pet stains, red wine and more, which make the house look untidy and undesirable. Removing this stains require proper and detailed carpet cleaning that will restore the condition of the carpet to its previous form. When the room appears clean, it feels pleasant and peaceful to spend hours in such a place. Especially in regions with high humidity levels, molds growths often appears when debris is left to accumulate for a long time. In precipitous weather, moisture is often trapped into the home and may sink deep into the fibers of the carpet if not vacuumed or dried immediately. Above all, by having your carpet regularly cleaned by a professional, you will help prevent mold and mildew growth because they use high-powered drying tools that are very effective in annihilating moisture. By eliminating moisture, you prevent mold growth, which can be harmful to your family’s health if ignored. The simple answer is to clean your carpets when they’re dirty! Many people make the mistake of letting their carpets continue to accumulate dirt for many more months or even years than necessary. Many professional carpet manufacturers recommend a thorough cleaning once a year to maintain the life of your carpet. We agree that annual cleaning will help preserve the life of your carpet fiber, by removing the deep dirt that wears down the base of the carpet material over time. If you have pets or children, you may want to have your carpets cleaned at least twice a year to remove stains and dirt from spills and tracked in debris. As far as time of year, the spring and fall, when doors and windows can be left open for a few hour, are the absolute best times for carpet cleaning. The additional air flow from open doors will allow for quick drying. However, winter or summer cleaning works almost equally as well, especially in the mild climate of Auburn, California. The answer to this questions depends on a variety of factors. How many people are living in your home? Do you have children? What about pets? Do you wear shoes in your home? Perhaps most importantly, how did you last clean your carpet? Professional carpet cleaning will have the longest-lasting results. This is because we have perfected the amounts of cleaning materials and water to use on your carpets. We’re not going to under-clean your rugs, getting only the surface stains off while leaving deeply settled dirt to reappear soon. We’re also not going to over clean, adding too much cleaner or water to the carpet and leaving it soggy and prone to mold, or soapy and likely to attract dirt. With a professional carpet cleaning, we expect your carpets to look and feel clean for many months. Without heavy use or wear, they should only need cleaning once a year. Cleaning your carpet is our job, and we want to make it as simple as possible for you. There’s no need to vacuum ahead of time, we’ll do all the cleaning when we arrive. We can also move furniture as needed, and work around your breakables. However, if you wish to, you can move small furniture pieces, or knick-knacks to another room or the garage so that they remain undisturbed by our professional, cleaners. Otherwise, simply prepare to be amazed by the cleanliness of your floors! We are confident that you will be satisfied by our professional carpet cleaning services in Auburn, California. We have been serving clients in Placer County for several years, and we guarantee our services. Call us today at (530) 432-3795 .